I can’t believe it’s Friday already, I just love weeks where we have a bank holiday, that extra day at the weekend makes so much difference. Shame that we will have to wait until August for the next one. How are you all? I am very well, I am just about to set off on the long journey from Yorkshire to St.Albans for a wedding we have there tomorrow. I can’t revel much about the wedding just yet but I can tell you it is certainly going to be a LOT of fun! We have no plans for Sunday so I am hoping for a lazy family day. Whatever plans you have this weekend Kelly and I hope you have a great time. 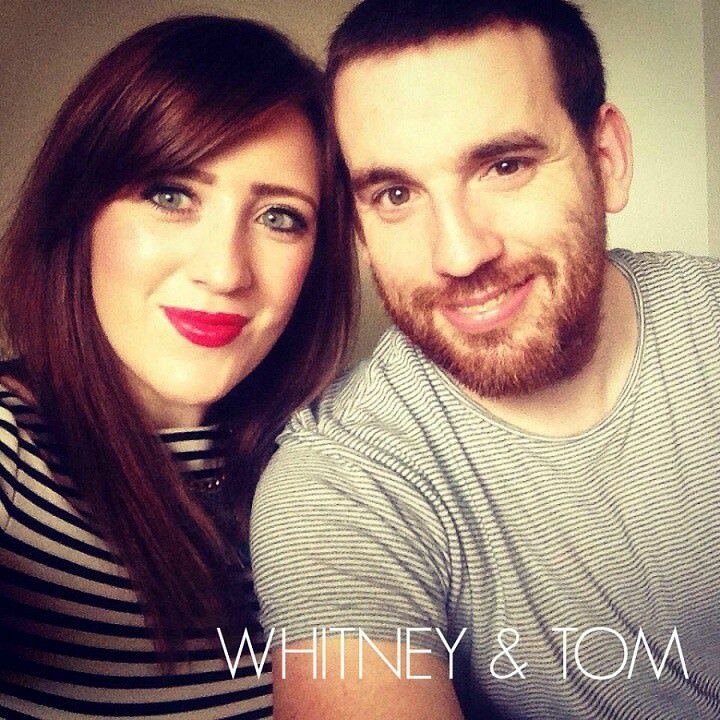 As it’s Friday it’s time for another edition of Diary of a Boho Bride and I am pleased to introduce you to Whitney and Tom‘s first entry. I am so jealous of their plans. It’s going to be a fantastic wedding day! 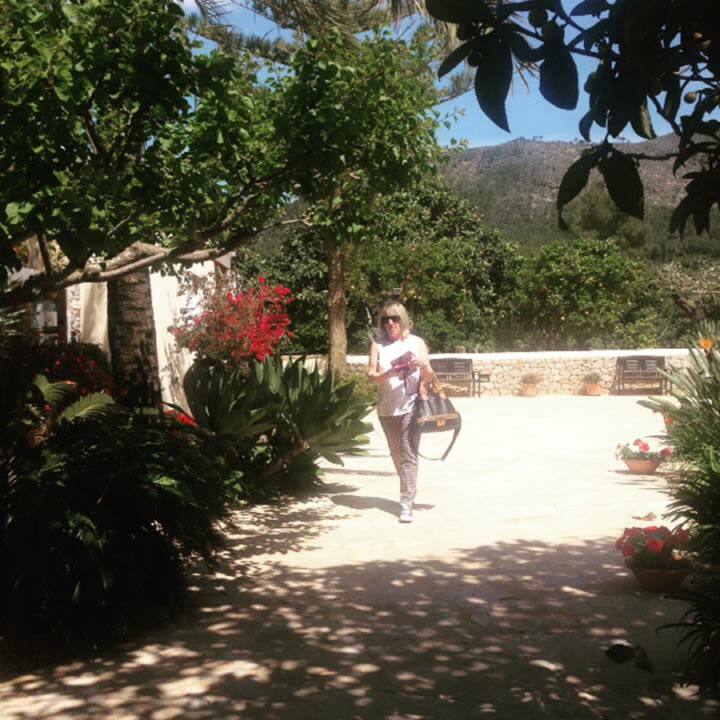 A Destination wedding in Ibiza, just like our very own Kelly H! I’ll pass you over to Whitney….. In my last entry I explained that the first big decision we made was about the venue. 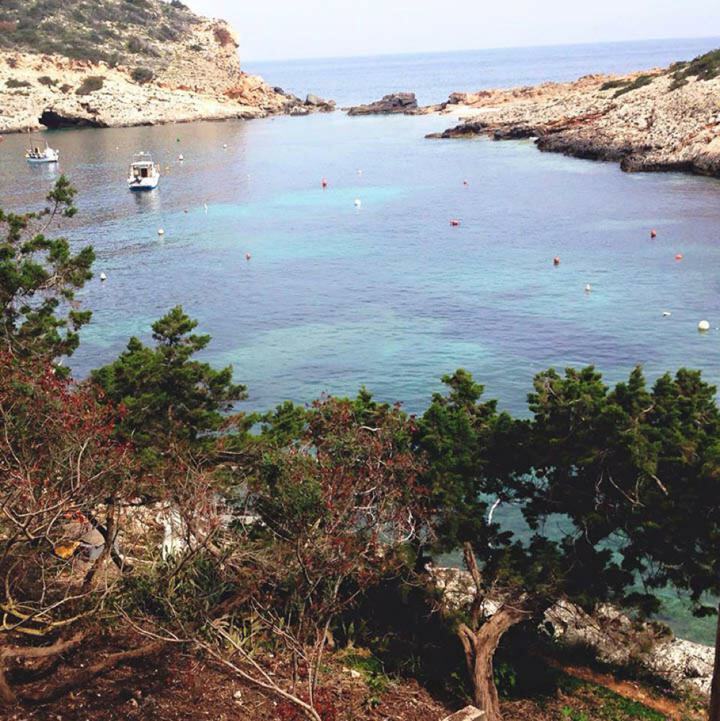 When we began talking about what we both envisaged for our w-day, I was super excited that my dream of having a wedding on the White Isle really floated Tom’s wedding boat too. 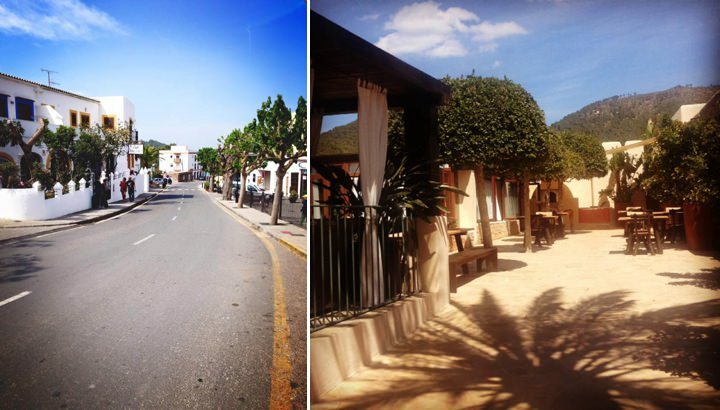 With Ibiza proving to be a really popular wedding destination we decided to book our venue without seeing it (eek!). 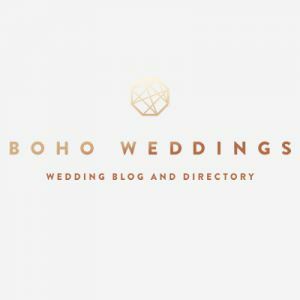 With the help of our wedding planner Lisa from Isla and Smith, we shortlisted 5 venues and then after much deliberation, we booked the one which we felt ticked all of our boxes. 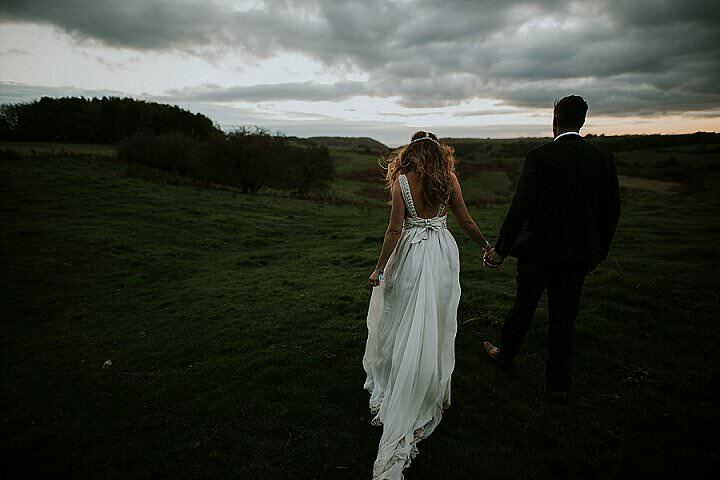 For us, this was a completely private location, stunning scenery, guest accommodation, the fact we could take over the venue for 3 days (who wouldn’t want to their wedding to be a 3 day event!) and lastly the raving reviews, in particular about the venue owners. 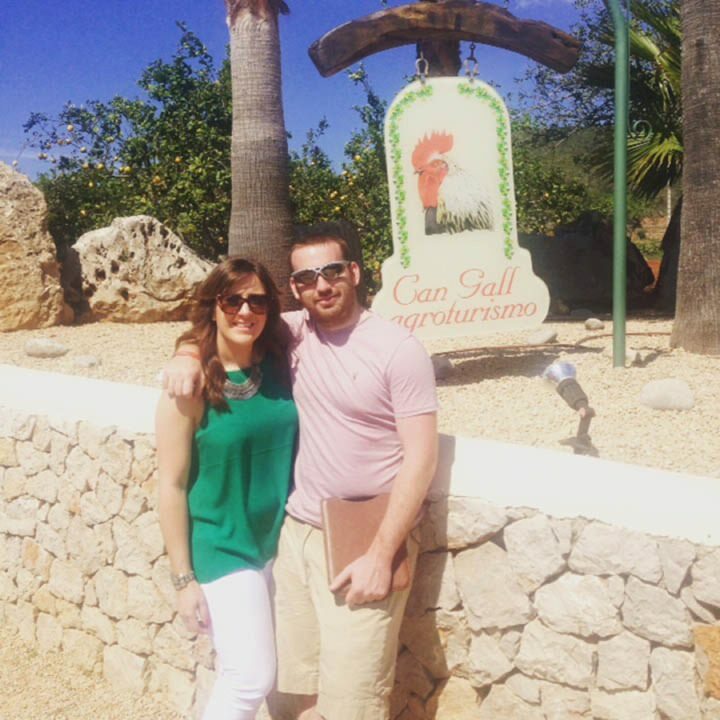 Too many times we had met with greedy, inflexible wedding venue owners so we were very much looking forward to meeting with Santi and his wife, Anna, at Can Gall when we visited in April. 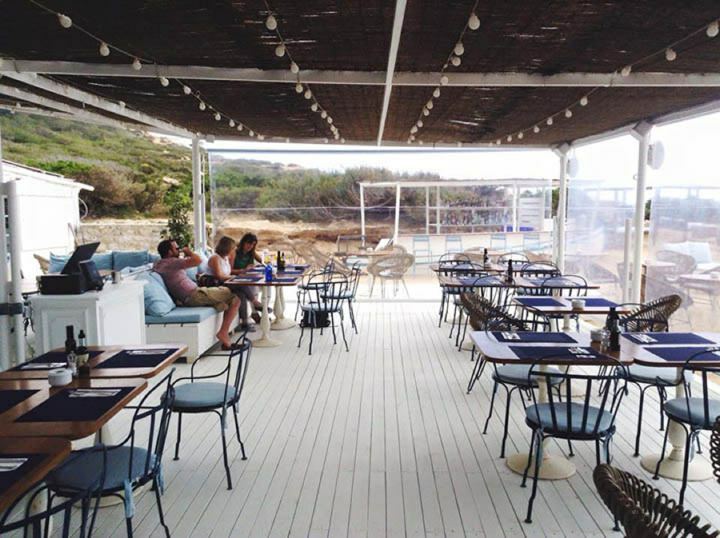 Just in case you are interested the other venues on the shortlist were Hacienda Na Xamena, Experimental Beach Club, Can Talais and a private villa. The excitement and anxiety levels leading up to our trip was in equal proportion. What if the venue wasn’t what we had thought? What if we had made the biggest error of not seeing the venue before we booked it? What if everything else we’ve planned doesn’t work? With both sets of parents in tow we visited Ibiza for a long weekend, we hired a car and spent most of the weekend exploring the island (which I would highly recommend doing) with one full day spent at the venue. It was also Tom’s birthday so we visited the famous Bambuddah Grove to celebrate. The owner Santi was exactly how the reviews described him; welcoming, friendly, knowledgeable and such a sweetie. 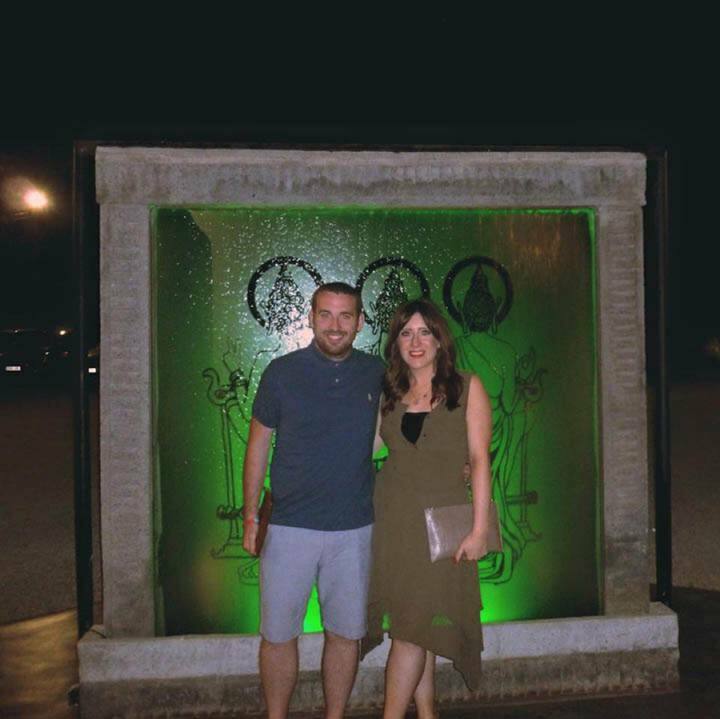 Santi took us on a tour and told us lots about the history of the venue as well as giving us some of his top tips when it comes to liaising with suppliers on the island. It was also really interesting hearing him talk about what other couples had done with the venue which gave us even more to think about. 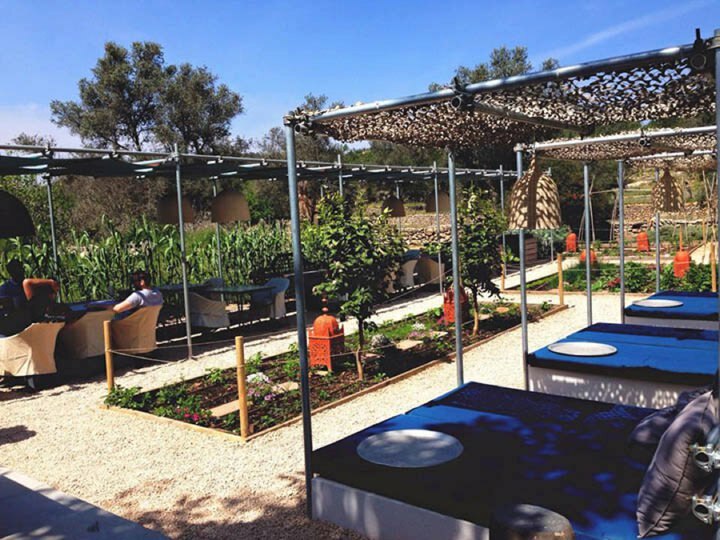 We spent the rest of the day at the venue sampling amazing food from The Chef (www.thechefibiza.com) whilst drinking prosecco and talking all things floral with Floral Dreams (http://floraldreamsibiza.com) – it was such a fab day and we didn’t want to leave! I’ll be able to fill you in on lots more of the detail such as the food, the flowers, wedding dress shopping, the bridesmaid dresses, entertainment, celebrants etc in a couple of posts time but for now I wanted to share a few top tips with those that are planning a destination wedding. Many of these tips are things that we wished we’d known beforehand, not that this would’ve changed any of our decisions but it’s good to be prepared. Be savvy when it comes to exchange rates and transferring money to suppliers. Sounds silly but this really wasn’t something that had crossed our minds when we decided on getting married abroad. For example, I paid the deposit for our venue via bank transfer and lost about 80 quid because I have since found out that bank exchange rates are usually rubbish and then I was also charged for the privilege of making a non-sterling transaction. I’ve since researched different bank accounts where they charge a lot less for international transfers. I haven’t used it yet but many people have recommended Transferwise. UK bank account? Following the above point, ask your supplier if they have a UK bank account. We have found that 2 of our suppliers have UK bank accounts- handy. Check out the venue at a similar time of year as to when you are getting married. Bit of a no-brainer but something to remember. We are getting married in May and visited the venue exactly a month before in April. We chose May as I didn’t wanting to be stifling in my wedding dress but jeez April was hot hot hot!!! This has since made me really re-consider what type of dress I would like/be comfortable in. Meet suppliers face to face. In just the few hours we had with our suppliers we got so much more done than going backwards and forwards via email. I have found (or our wedding planner has found) that the conversation with suppliers can be really slow especially when it is out of season and then also when they are mega busy during peak season so it is best to pin them down face to face. Get abroad wedding insurance and read the small print! I keep freaking out that there will be a volcanic ash cloud which prevents us and all of our guests from making the wedding! Not all insurers will cover such tragedies. Some do but read the small print as sometimes you need to have booked your flights to arrive 5 days prior to the wedding taking place. Remember to get travel insurance. Similar to the above but you need to remember to get both as the majority of the time they are different policies. Embrace the culture. It wasn’t until we spoke with Santi that we realised we should be making the most of the Spanish culture. There are many options you could consider, to bring a bit of local life to your wedding ceremony, so think about your music, food and drinks. 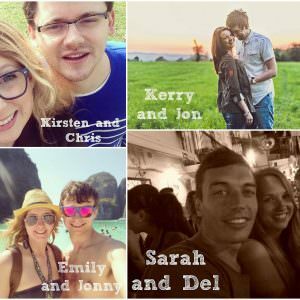 Set up a wedding website. We sent out our save the dates as soon as we returned from Ibiza and wrote our wedding website on the back. This went down a storm with our guests and I was so surprised to hear how much they loved how informative it was. 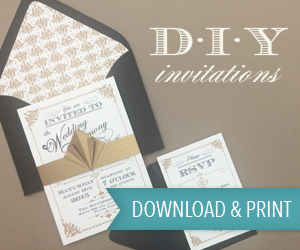 Send out the invitations early. 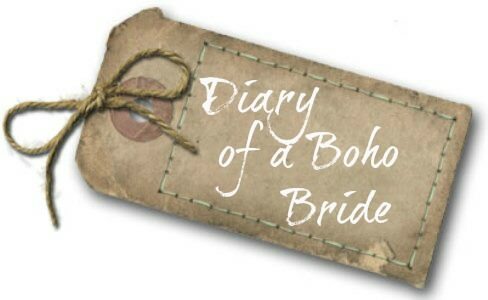 A couple of blogs have recommended sending out invites eight months prior to an abroad wedding, to allow guests enough time to budget for the wedding, put it in their diaries and sort out flights. I think this is a good idea as I love the thought of being organised and having less to worry about as the big day approaches. 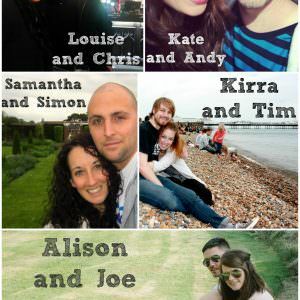 However, we have included so much info on our wedding website I’m going to struggle to think of what to write on the actual invites! 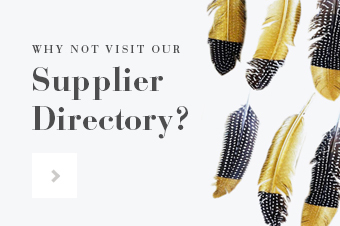 How many suppliers? 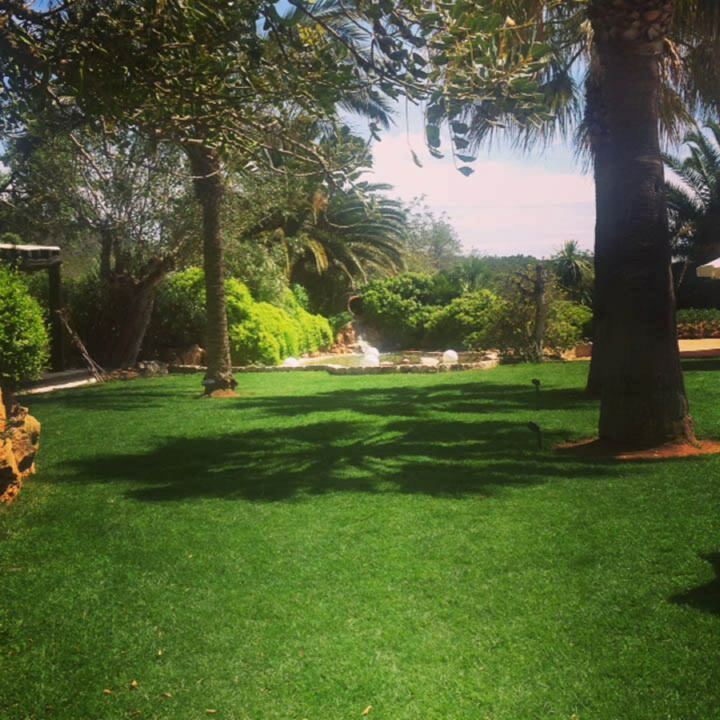 Another thing that we hadn’t given much thought to before we settled on Ibiza but is definitely something to bear in mind, is the limited number of suppliers that are available if you are getting married on a small island. For example there aren’t heaps of make-up artists or florists to choose from which makes their prices pretty similar and competitive. I have been really shocked at the cost of make up and flowers compared to back home and I believe that is because at home there is so much choice that they offer more discounts to win business. So this has been quite a long first entry but I feel like so much has happened and it is just the beginning. As I mentioned previously, in my posts to come I will be able to fill you in on much more of the detail but do let me know if there is anything in particular that you’d be interested in hearing about. Also, I would love to hear from all you destination brides about how you are finding planning a wedding abroad. What have you found particularly tricky to arrange? Let me know if you have any tips for me! I was an Ibiza Bride too congratulations! I used Kellie at Stylist Hair Ibiza and Hannah at Eyebiza Makeup they were amazing! I’m a makeup artist too so I’m so fussy you can see you some pics on my Facebook page. If you email me [email protected] I’ll send you the link. Hi Whitney, really keen to hear how the wedding went? We are considering using Can Gall and Chef Ibiza and keen to learn of your experiences? Apologies I’ve only just seen this, I cannot recommend can gall and the chef enough!!! Please email on [email protected] so we can talk details! Planning a wedding abroad is easier if you ask for help to a wedding planner.